Leslie MacLeod-Miller is a member of the International Masters of Gaming Law, qualified as a lawyer originally in Australia before moving to the United Kingdom. He has practiced as corporate counsel and legal consultant for a variety of international companies including the Ladbroke group, Walt Disney, Hutchison Whampoa and Liberty Media. He has acted as Chief Executive of the largest gaming lobbying organisation in the United Kingdom, BACTA, and Vice President of the equivalent European Association and now is a sole practitioner specialising in gaming regulation and compliance. In the UK gambling regulatory environment he acted as a negotiator with the Department of Media and Sport and the Gambling Commission regarding policy/ secondary legislation drafting and implementation, drafting amendments for the House of Commons and the House of Lords. He also has considerable experience in negotiating regulatory amendments with the DCMS senior Bill team, member of the DCMS Industry Liaison Committee, the Transition Consultation Group, the Gaming Board/BACTA Working Group, the Skills Council Working Group, and a member of the Amusement Devices Safety Council for Britain. His legal publications include Pattisons Licencing Service and a variety of European articles which have been presented to the European parliament. His practice now combines legal and political lobbying and is committed to bringing about policy change in areas of social vulnerability. He has been involved in a large range of charitable and entertainment activities both as a lawyer and a performer. He continues to advice a large spectrum of clients in the third sector. 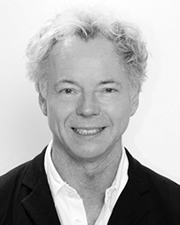 He was a finalist in the World Domingo Opera Competition, is a Board Member of the International Opera Awards, a lawyer for The Chopin Society, a Trustee of the WW1 educational charity, Never Such Innocence, sits on the English National Opera Transformation Board and holds a number of Non-Executive directorships. He has run 10 marathons.